This gorgeously Glamorous Princess Wig - Blonde - Children’s Costume Accessory is the perfect addition to your child’s Halloween or cosplay ensemble. 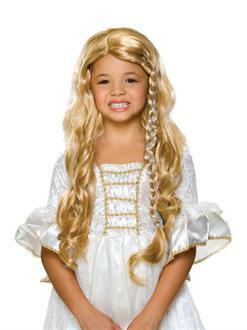 This long, wavy blonde wig can be worn as it is or be styled to into a variety of updos. Shop for children’s costumes and accessories online now.